Ever launch into a game you are unsure about, and then a few hours in you think ‘Oh crap, this was a terrible mistake?’ Maybe you preserve and stick with it, enjoying some elements despite some deep flaws and annoyances, and slowly emerge into a semi-enjoyable experience. The Witcher 2: Assassins of Kings garnered a very mixed reaction from me, not just of the games I’ve played on Rogue’s Adventures, but of any game I’ve played. Usually when I add a game to my backlog it’s because I want to play it (obviously) but it wasn’t quite high enough on my limited priority list to immediately play it. 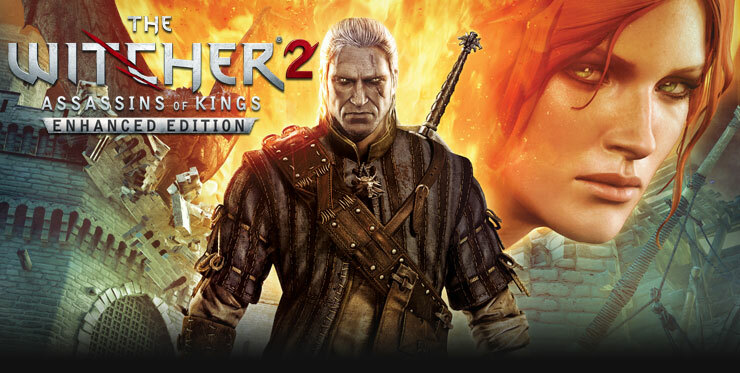 For The Witcher 2, my motivation was based entirely on how awesome the upcoming third game looks. I played the original Witcher back in 2007-08 and didn’t actually care for it, never finishing it. I skipped the sequel for years based on that experience and only finally decided to dive in based on how critically acclaimed it was (not to mention a devoted fan base). But mostly, it was the third game showing really well in all its trailers and previews. Yes, I’m a sucker for hype sometimes; I love games. I don’t love The Witcher.